The restoration project abided by rules prohibiting changes to historically significant elements, including the stage itself. 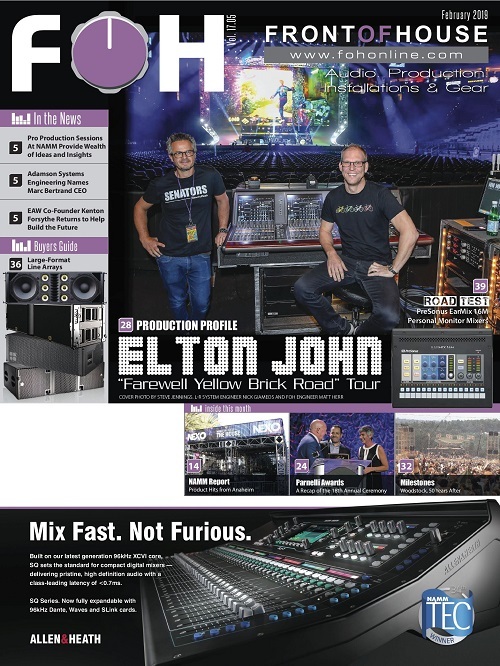 HD Pro Audio’s Andy Huffer (left) with the Palace’s Steve Brookes. Since then, the complex story of the building — affectionately known as “Ally Pally” — was marked by another fire, vandals, removal of a large balcony seating area, substantial war-time damage, conversion to a BBC transmission center, a charitable rescue and many political sagas. In 2012, the decision was made to restore the Palace to its former glory and, with grants from the Heritage Lottery Fund and the London Borough of Haringey, work on the ambitious project to turn the crumbling space into a state of the art working theatre began in 2016. In December 2018, after 80 years of slumber and two years of careful restoration, the Alexandra Palace Theatre has opened again. As part of the process, a complete technical infrastructure had to be installed, including a substantial sound system upgrade that brings a fitting quality of sound to the beautifully reborn venue. The Alexandra Palace Theatre itself is part of the building’s East Wing. It had an original capacity of 3,000 and the stage was a marvel of Victorian engineering, incorporating a variety of innovative stage machinery. The BBC leased the Palace in 1935 and the theater went unused until performances started again in 2004, in a limited way, though it wasn’t until 2012 that the Alexandra Palace and Park Trust contemplated a thorough restoration of the building, starting with the East Wing and the theater. 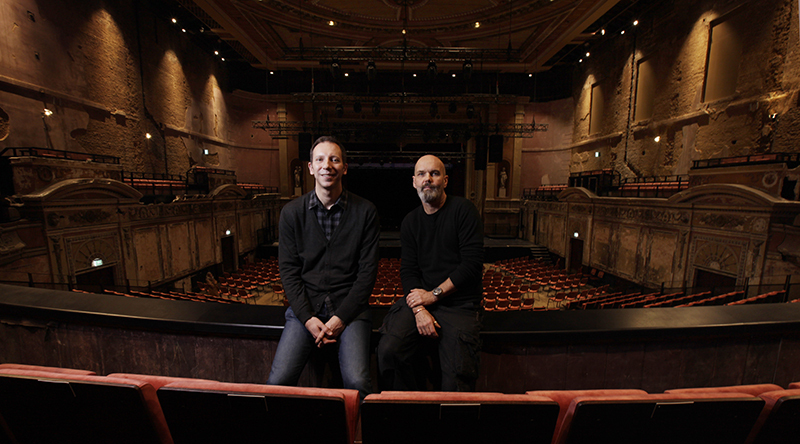 One of the people brought in to help the project through reconstruction and on to a healthy, 900-capacity commercial theater was Steve Brookes, now head of production and technical at the venue. His aim was to bring a full, modern production infrastructure to the space so that no company or touring production would hesitate to perform at the Palace, but at the same time to honor the heritage of the building. Two hangs of nine L-Acoustics Karas are flanked by three SB18 subs, with two X15 HiQ as outfill providing coverage for the entire auditorium. “Before my arrival, there wasn’t any kind of production infrastructure at Alexandra Palace — the Great Hall, which hosts many concerts, is a receiving house and doesn’t require any permanent facilities,” Brookes explains. 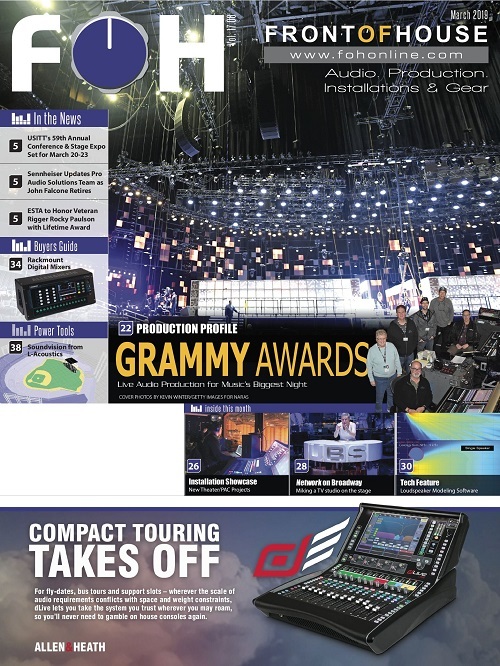 A DiGiCo SD12 and SD-Rack, along with an L-Acoustics loudspeaker system and Sennheiser microphones, were on the top of his list. 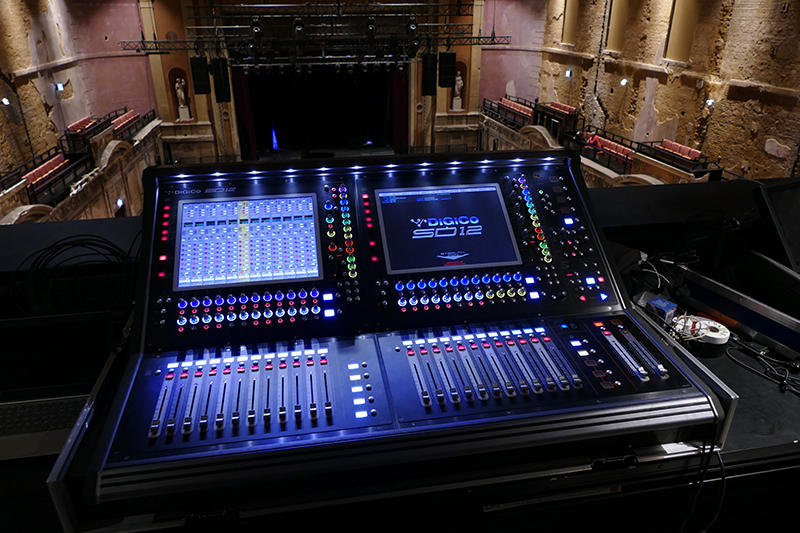 The audio system, based around a Kara line array enclosures and a new DiGiCo SD12 digital console, was supplied and installed by HD Pro Audio under the direction of the company’s Andy Huffer. The P.A. system was designed in conjunction with L-Acoustics, settling on an optimum combination that worked both in terms of budget and coverage of the auditorium. 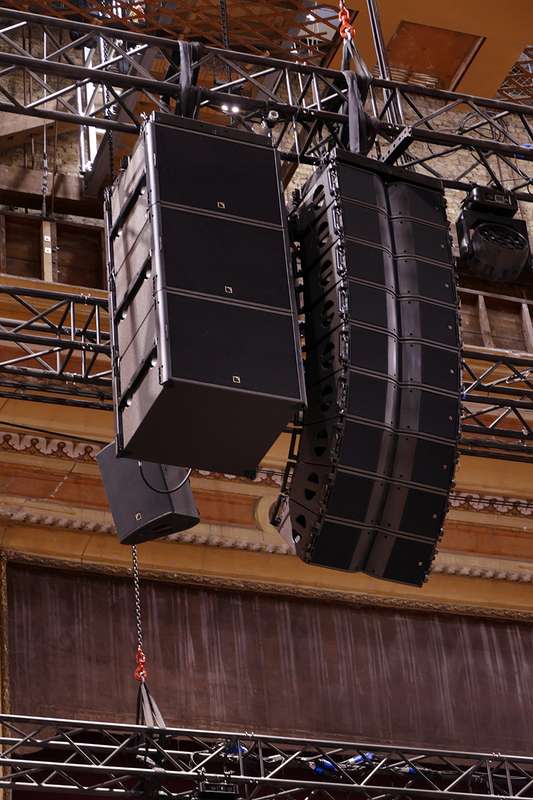 The all L-Acoustics system comprises two hangs, each with nine Kara line array speakers, flanked by three SB18 subs, with two X15 HiQ as out fill. 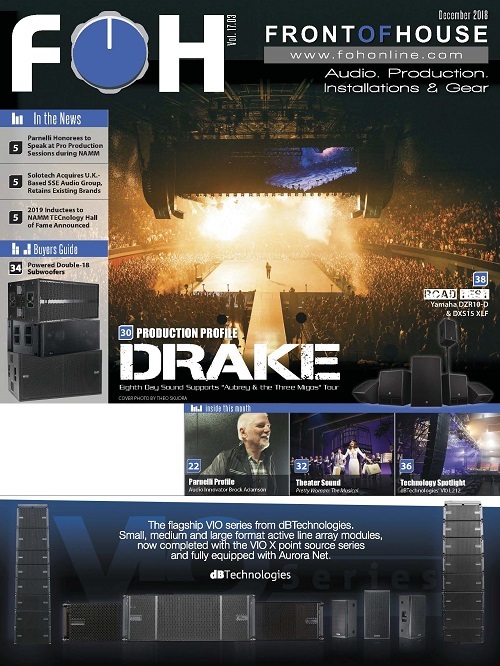 The system is powered by four LA4X and three LA12X amplified controllers, which are housed backstage in custom-built racks. 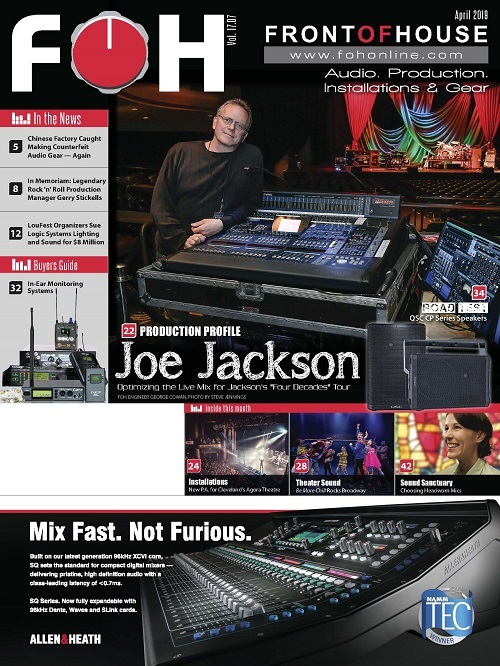 L-Acoustics’ P1 AVB processor — offering an EQ station, delay and dynamics processor — takes the FOH console inputs and links to the amplifiers via AVB. 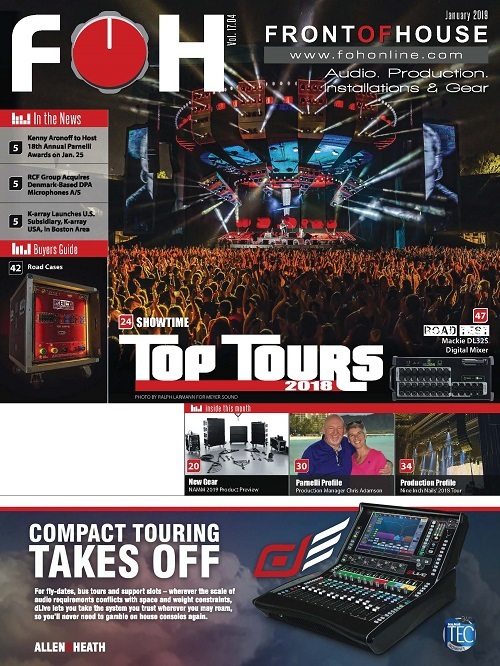 Unique on the market, the P1 combines front-end processing, audio bridging and signal distribution as well as system measurement and tuning in one convenient, solid package. Onstage, seven L-Acoustics X12 speakers provide monitoring along with an SB18 subwoofer as a drum fill. All are run from two LA4Xs in a custom mobile rack. The SD12 sits at the front of house position, which is in a gallery high up in the rear of the auditorium, and is connected to the SD-Rack via Optocore. It has proved such a hit that there are plans to add an SD11 as a monitor desk during the second round of procurement which, Brookes adds, is being selected for easy integration into the existing system. Its ultra-compact size will allow it to sit neatly next to the stage and its portability means the board can also double as a satellite desk in other areas around the site. 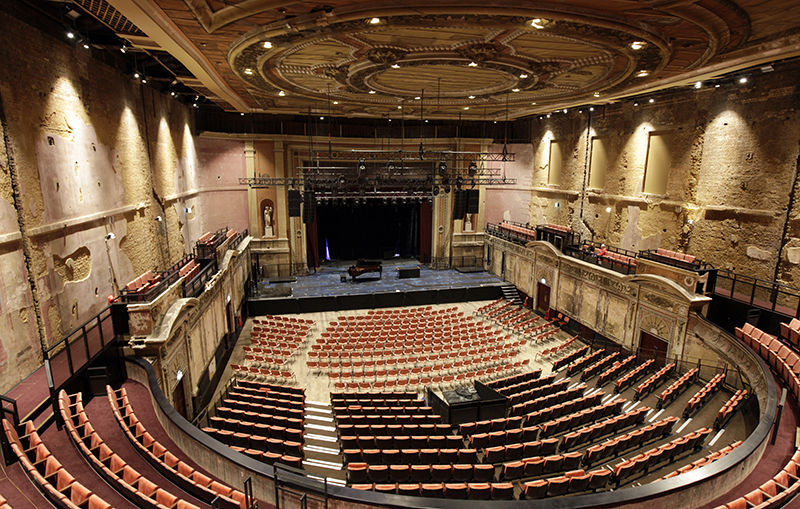 Visit the Alexandra Palace at http://theatre.alexandrapalace.com.